Last week, the Brooklyn Brewery celebrated Garret Oliver's latest in his Brewmaster Reserve series, The Concoction. Based on the scotch cocktail "The Penicillin" this new offering combines peat smoked malt, minced ginger, lemon juice and wildflower honey to make for one unique drinking experience. Look for The Concoction to start hitting NYC area bars in Mid-June. Head Brewmaster Garrett Oliver addresses the crowd and tells the tale of how "The Tonic" (The Concoction's original name) was rejected by the TTB and the mad scramble that occurred at the last possible minute. Cheers to bureaucracy! CNN was also on hand to cover the event since they've been following Brewery founder Steve Hindy around. I was interviewed for a few minutes but I'm not sure it'll actually be used. Your view of the party after having a few too many Concoctions. Also provided were the new cans of Brooklyn Summer Ale which we just featured in our Beertography of the Week last week. John "Sussy" Suscovich aka The Foodcyclist recently walked away from his full-time job as a light board operator for Howard Stern to ride his bicycle around the world, promoting organic farming and healthy foods. After hearing about his trip on The Howard Stern Show and myself being a fan of all things organic, John's trip really intrigued me and I began following him on twitter. Soon after, he was tweeting from Yards, Victory and Flying Dog breweries... He was doing a whirlwind Northeast brewery tour and all from his bike! Interest: piqued. We spent Mother’s Day weekend out on Long Island and enjoyed drinking some beer outside. We made a stop at Glen Cove Beer Distributor, our favorite LI beer store, and to our surprise found a small stack of canned Brooklyn Summer Ale. 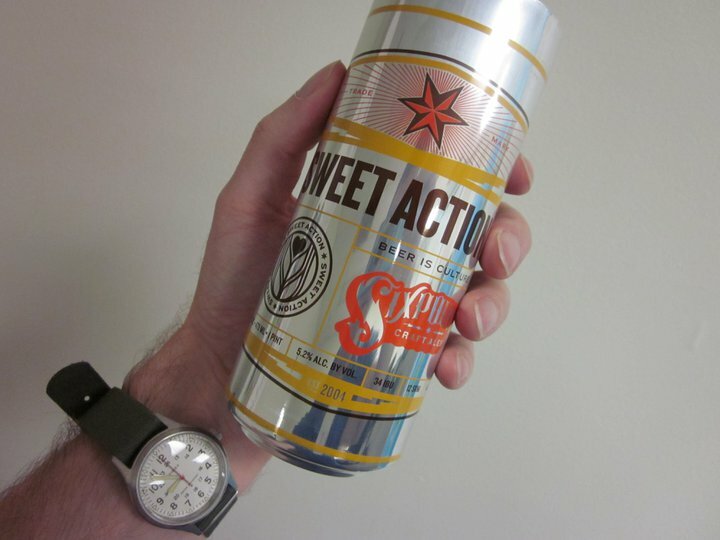 We have been casually keeping an eye out for the canned version in Brooklyn the past couple of weeks with no success. The beer did taste very fresh and bright with a distinct hop aroma that wasn’t overwhelming. For a summer seasonal it was quite clean and refreshing. It went well with the weather and the salmon and cold orzo salad that we had for dinner. We’re definitely looking forward to this being a staple of summer time. I couldn't agree with their sentiments more. In fact, I was going to post this entry yesterday until I saw that they followed up with even more of exactly what I was thinking. Check out what I mean here. Up until these new cans, I hadn't had the Summer Ale in years. It just never did it for me... something about it in bottle form just doesn't work. But I think the brewery has found a winner with this canned alternative. That's it for this week, but as a reminder, either email your beertography to beertography@gmail.com or if you're out drinking somewhere, just tag your tweet with #beertography and I'll be sure to consider it. I really like to try to add to the picture and make it something more then just the beer and a glass and the first thing that came to mind with the name censored was risque or taboo so I went looking around the house. Thankfully my wife was okay with the idea of putting her bra up on the internet and even helped me set the shot up. We took about 20 shots before pouring the beer because you really only get what 30 seconds to a minute without the head losing it's luster? So we found the shot we liked and then quickly set it back up after the pour. All the work before hand paid off, even though we took 7 total shots, it was the first one that ultimately came out the best. Cheers and thanks Rick! There were definitely some other great contenders submitted this past week, so if yours was not selected, fear not. I'll keep the pool I have and add them to the new ones that get submitted this week. So as a reminder, either email your photos to beertography@gmail.com or if you're out drinking somewhere, just tag your tweet with #beertography and I'll make sure to take note. Nary a week goes by when there isn't some exciting beer news in NYC, but this was a particularly big one. Where to start? Firstly, its already been said by great sites like Brew York, New York and BeerUnion, but if you're in the NYC area you should make your way to the Green Market at Union Square today (or any Friday). Mark VanGlad is the area's newest commercial microbrewer, and as Chris O'Leary of BYNY points out, its a significant event in the sense that he's able to bypass the three-tier system and sell his beers directly to the public. Its also great to see craft beer moving further in the direction of the locally sourced and sustainable, as VanGlad grows much of his own ingredients. Stop by any Friday 8am-5pm. Next up, some very exciting news from Sixpoint Craft Ales: Starting "soon", you'll be able to buy their beers in CANS! Yes, the craft can revolution continues. 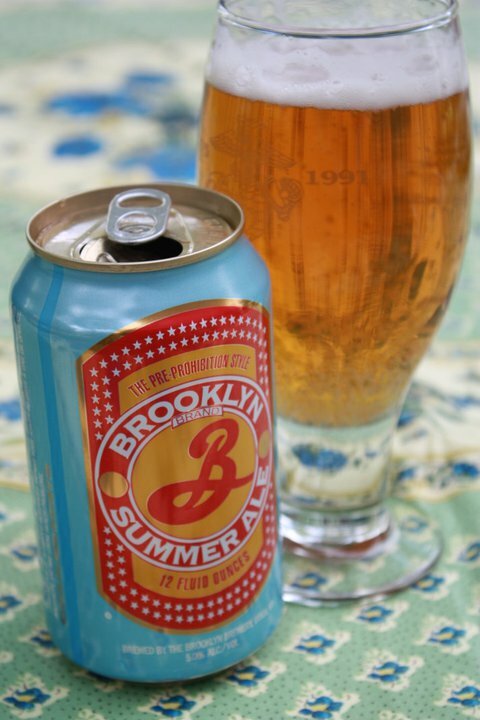 Speaking of which, Brooklyn Brewery Summer Ale has hit the city in can form as well. A few 12 packs were spotted this week at Brooklyn Beer & Soda, so keep an eye out. 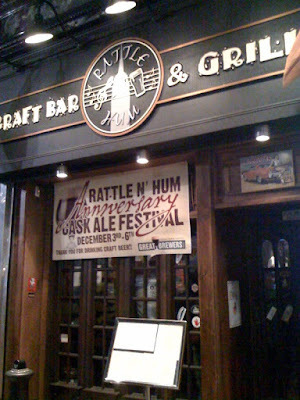 Finally today, some very exciting news from Rattle'n'Hum, the craft beer bar in Midtown. Rattle'n'Hum tweeted yesterday that a second location would be opening in Manhattan by September. No other info has been released, but let the guessing game begin! I just received a package of beer from my friends at Maui Brewing Co., and was geekily excited to find how they decided to ensure it arrived safely: USED MALT BAGS! This made me chuckle quite a bit, till I looked closer and realized that there was even a bit of grain left in the bags. Oh, craft beer world, you never cease to amaze me in the strangest ways. Look for a review of the brand-new limited Maui Flyin’ HI.P.Hay cans coming soon! 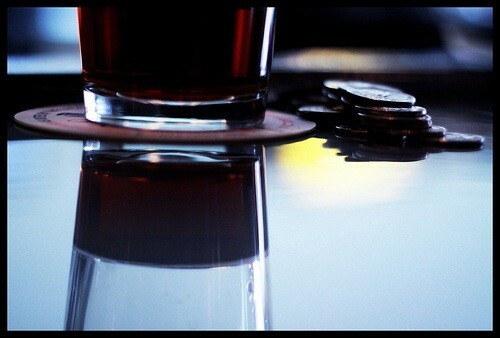 We have our first-ever repeat #beertography champ! @jcshithead has raised the quality bar with his photo above. Can you guess where this photo was taken? I bet you can. If you want to submit your beer photos for consideration for Beertography of the Week, all you have to do is tweet the photo with the #beertography hash tag or submit via email at beertography@gmail.com.